Couple of years ago here at Enfew we have posted a list of most popular JQuery rating plugins at that time. Much has changed since and we are revisiting the subject by giving you fresh list of most used rating plugins jQuery. If we have missed any specific plugin you love let us know by commenting under this post! jRating is flexible and easy to work with AJAX based star rating system. It allows customization and setup of all elements visitor sees on the screen. Free to use and Open Source. Live demo site with many implementation examples lives here. We featured jQuery Raty plugin on Enfew two years ago and it remains as one of the most liked 3rd party rating plugins for jQuery out there. It has good support from developer community on GitHub (456 likes!). Worth to give it a go if you are looking for time proven solution. Colorful rating system created by Marco Kuiper from Macrofolio. This system is using jQuery colour plugin and CSS3. Even if its not released as stand alone jQuery plugin we think this example is very nice and can be great help for your projects. It makes web rating look nice! ?rfan Durmu? 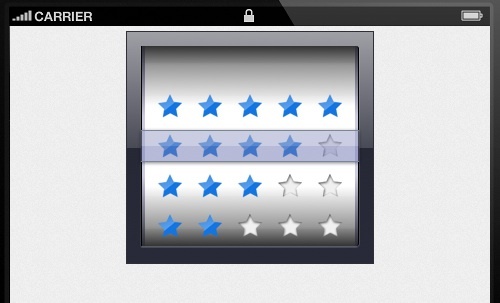 has created this jQuery plugin for adding star ratings to your web projects. On the plugins home you’ll find his clear instructions on how to implement and make best use of it. Great bar rating plugin for jQuery created by Kazik (Netboy). It takes much different approach on look and feel for rating elements within web projects which makes them more user friendly and innovative. Personally, we are loving it and might even use in our site redesign project! Check the plugin code on GitHub and example implementations on demo site. And here is something for your mobile application projects with jQuery rating systems in them.